Traffic Control and Labour Hire Personnel. Oak Construction Services offers you excellent service and experienced personnel. 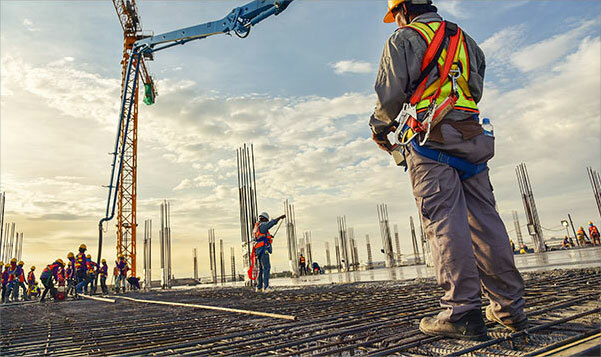 Our role is to provide seamless construction solutions; be it on site with permanent and casual labour hire in Melbourne or professional services to meet your traffic management requirements. As one of the leading labour hire companies Melbourne has to offer, Oak Construction Services will handle your needs from start to finish. From site inspections, engineered plans, council and VicRoads permits, through to the implementation of a safe functional worksite, we use only high quality accredited personnel. When you need traffic management, construction services and fast, skilled labour hire in Melbourne, choose Oak. We offer professional, fast labour hire Melbourne wide to meet the needs of our clients. Our experienced staff are committed to providing you with the right people for your organisation; ensuring all placements fit the unique needs of your organisation. We tailor our traffic management solutions to the needs of all clients whilst never compromising on safety. Our experienced staff are committed to providing reliable on-call 24/7 management services, along with free onsite inspections and more. Here at Oak, we pride ourselves on being one of the industries leading labour hire companies Melbourne has come to know and trust. We achieve this by employing fully accredited and experienced traffic controllers, labourers & tradespeople. We supply Industry best standard equipment and have a focus on safety for all road and site stakeholders. Our staff are experts at securing traffic management plans and permits from state road authorities and local councils. We’ll visit your site in Melbourne, discuss your requirements and conduct a thorough site inspection. Our experienced staff have worked on construction sites across Victoria. Traffic management plans are a requirement for permit processing by authorities and councils. Our planning team ensures all situations are taken into account when developing these plans. When onsite, our personnel ensure that public safety is maintained at all times and that any interruptions to the user of the surrounding public spaces are minimised. NEED SKILLED LABOUR HIRE IN MELBOURNE? Whether you need an extra pair of hands to fill a short term role onsite, or need a team of casual labourers for a construction project, we can help. Our rigorous application checks ensure only the highest quality labour is provided. We offer a 24-hour service, seven days a week, 365 days a year that comes equipped with free onsite inspection, traffic management consultation for small and large worksites, risk and hazard management, sourced permits and more. If you have a project that requires expert constructions services or casual labour hire in Melbourne, get in touch with Oak Construction Services today. You can depend on us for safety, unmatched customer service and the right industry knowledge. Call us today or send us a message online. Delivering Industry best standards in Traffic Management, Traffic Control and Labour Hire Personnel. Let us help you.